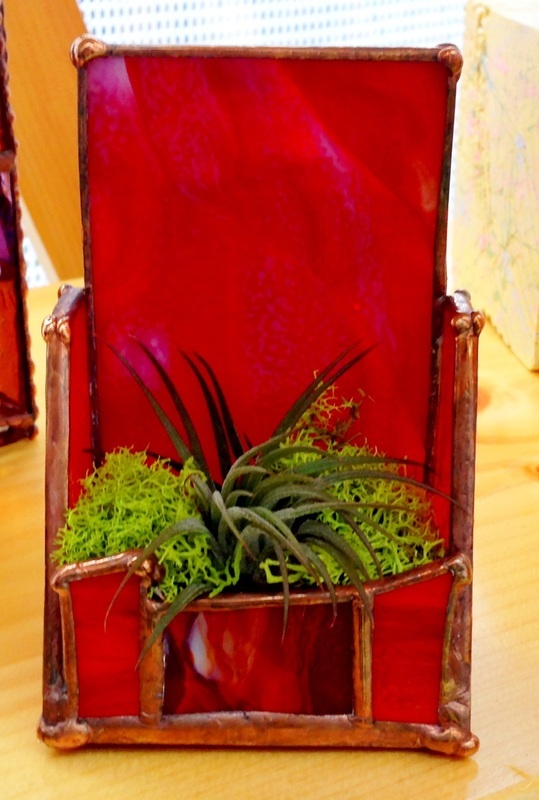 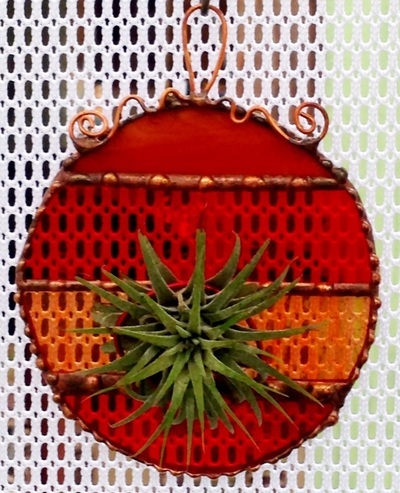 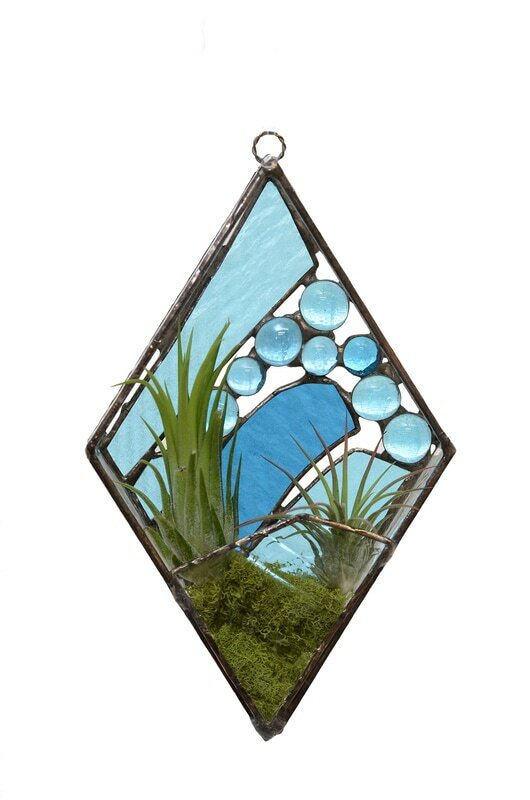 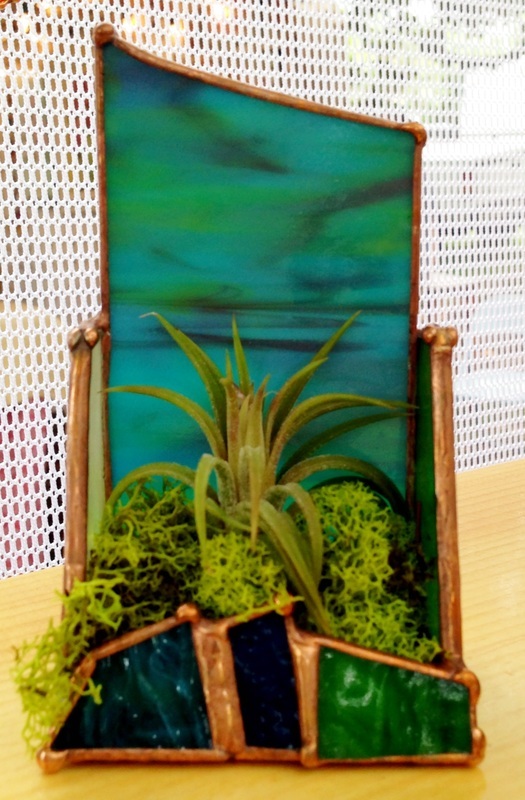 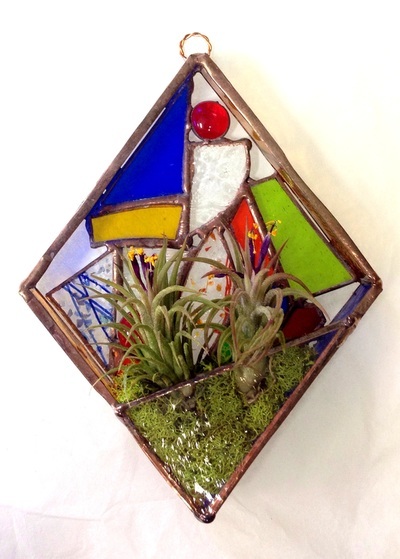 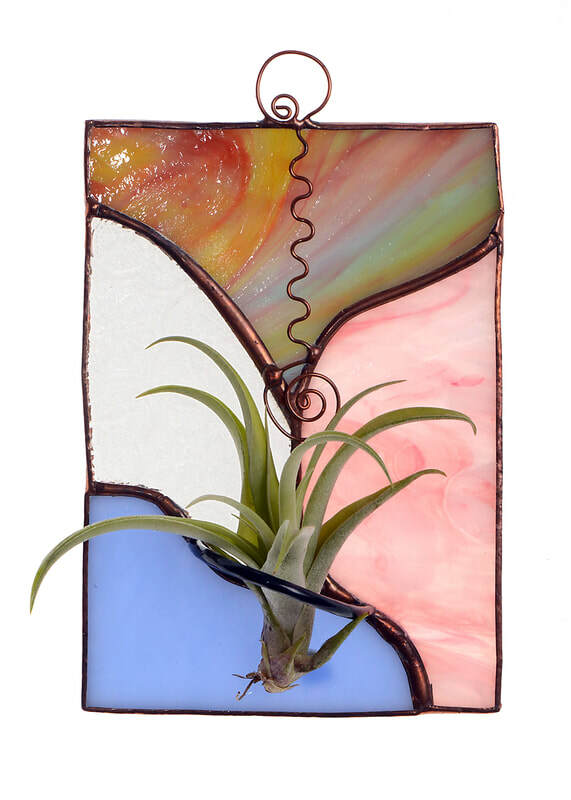 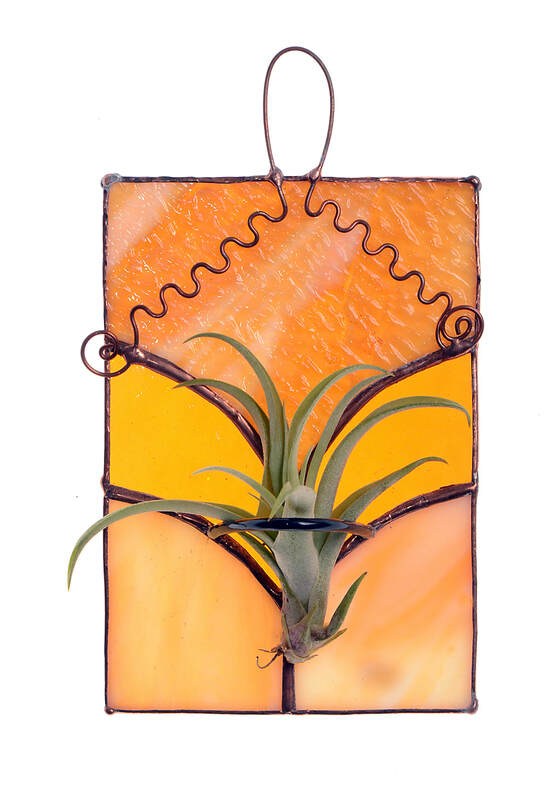 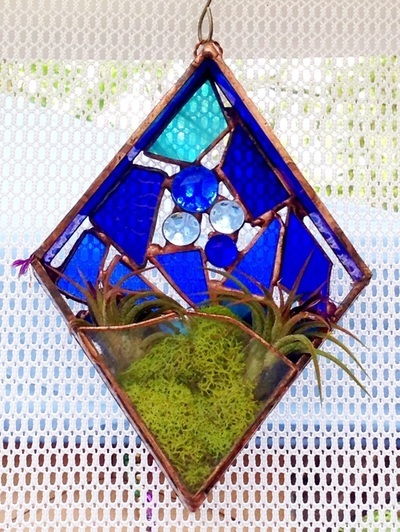 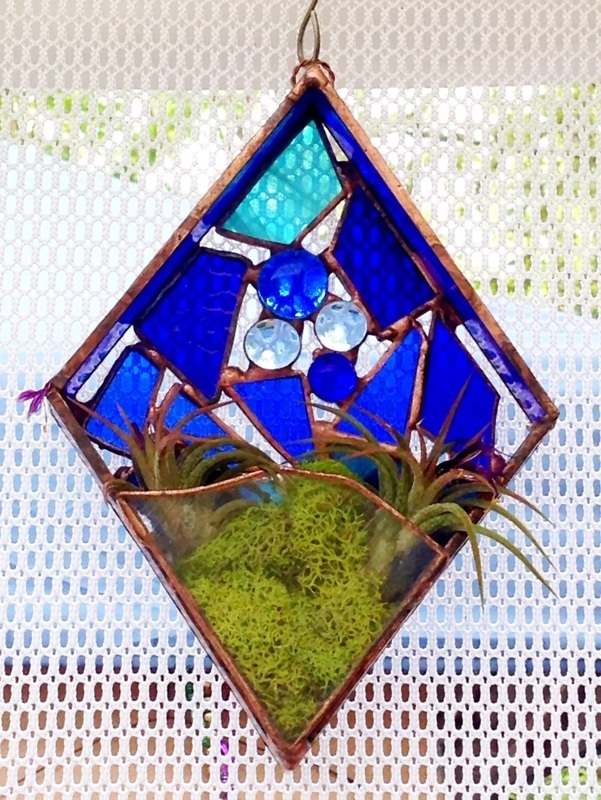 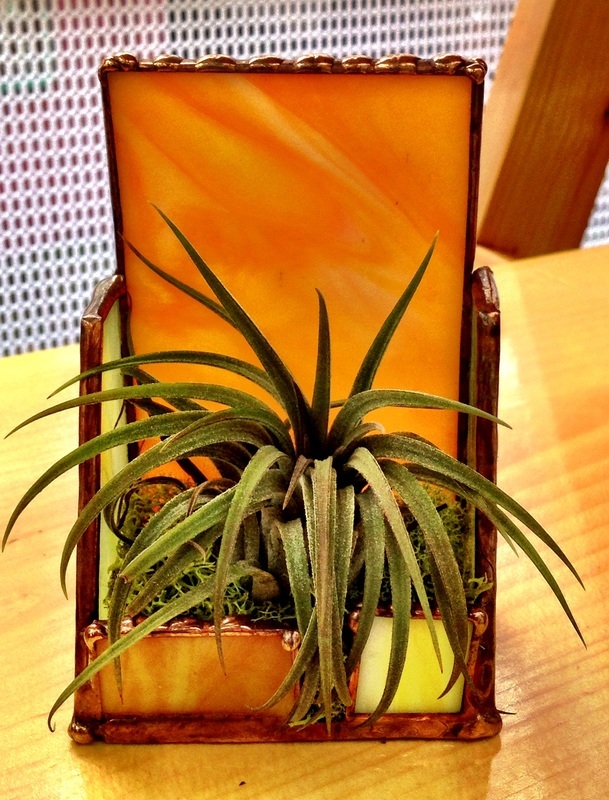 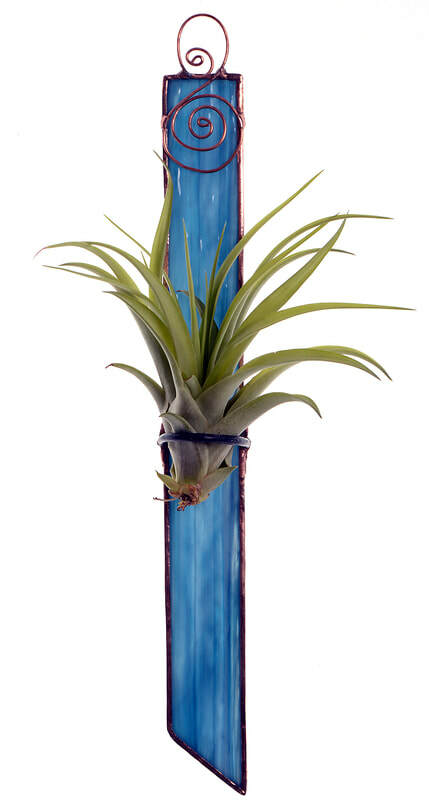 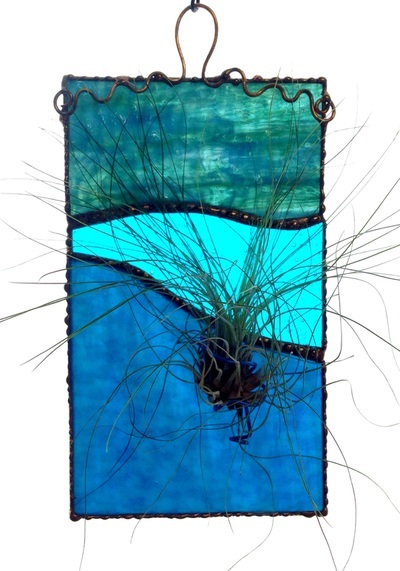 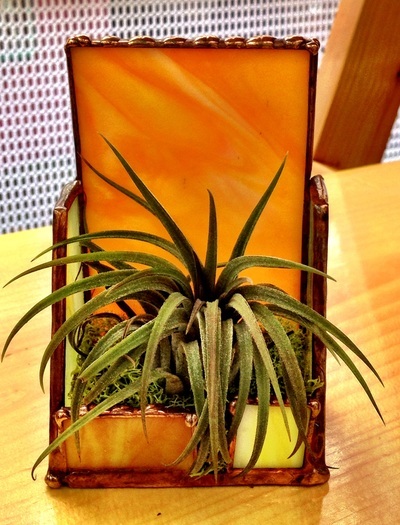 Air plants, or tillandsias, are interesting and super easy to take care of, and look beautiful with a stained glass holder. 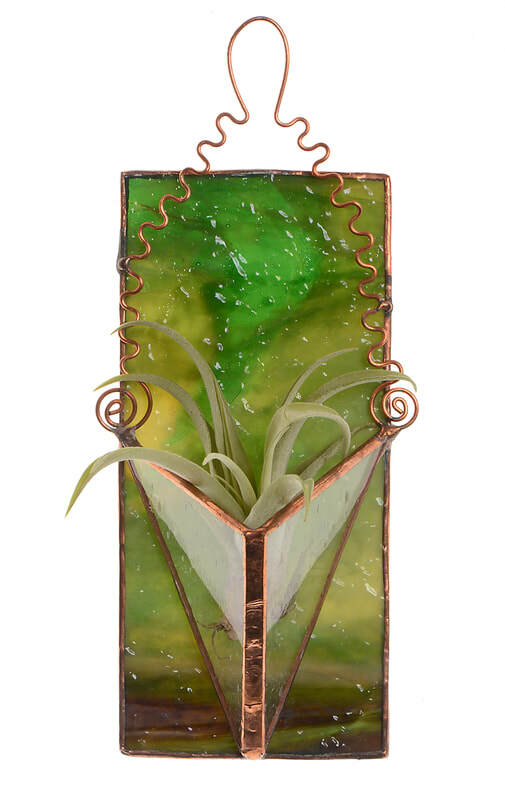 I make them in several styles; three dimensional triangular hanging containers, rectangular and circular flat hanging panels, and even pretty little boxes to hold them on your desk or window sill. 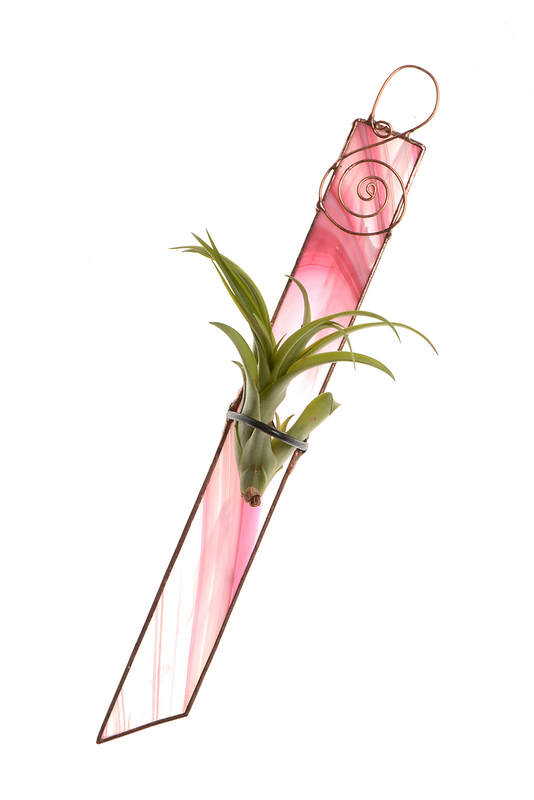 The prices for the hangers range from $20 to $50.